"We are delighted to announce the launch of the Beverage Association of Sri Lanka..."
Leading beverage companies in Sri Lanka have come together for the first time in the history of the sector to form The Beverage Association of Sri Lanka (BAOSL). The association has been formed with the aim of providing a vital platform for the sector, whilst championing the contribution of its members towards the country’s economic sustainability. 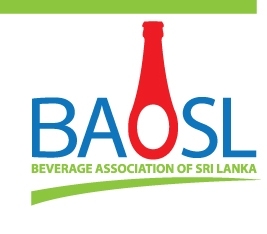 The BAOSL currently consists of Ceylon Cold Stores PLC (manufacturer and marketer of Elephant House Beverages), Coca-Cola BeveragesSri Lanka Limited and Varun Beverages Lanka Limited (the manufacturer and marketer of Pepsi Cola Inc beverages). It is pertinent to note that the sector has made heavy capital investments in machinery and technology over the decades. The industry is a key contributor to the national exchequer and thereby to the economic development of the country. The beverage industry provides employment to nearly 1,500 individuals who are directly employed by these companies whilst simultaneously creating indirect employment for 3,000 more. Moreover, member companies are responsible for providing trading opportunities to over 75,000 retailers. The BAOSL will engage with stakeholders of the sector and bring to light the contribution made by the industry, for example, in ensuring proper storage and quality of beverages, through the provision of aids such as coolers and racks. Statistics will show that the sector has been instrumental in introducing advanced machinery coupled with global best practices in manufacturing, supply chain management and distribution, which have enhanced the profile of the country’s retail sector by leaps and bounds. The BAOSL has been established with the intention being the catalyst for the sector, encouraging adherence and greater effort on the part of members. Also, this association will strive to provide a common platform to share and exchange knowledge and information with regard to best practices and to develop, adopt and enforce a voluntary code of conduct among its members relating to manufacture, bottling, marketing, distribution and sale of non-alcoholic beverages in Sri Lanka. A guiding principle of the BAOSL is to promote a healthy lifestyle in the country.